In 2014, Jake was diagnosed with Juvenile Myclonic Epilepsy after having a seizure during freshman football practice. He did not allow epilepsy to get in his way! He continued to go on to play football for his whole high school career. Jake became an ambassador to help spread the word about epilepsy awareness. He organized successful fundraisers at his school. In 2018, Jake was awarded with the Epilepsy Services of New Jersey Annual College Scholarship! 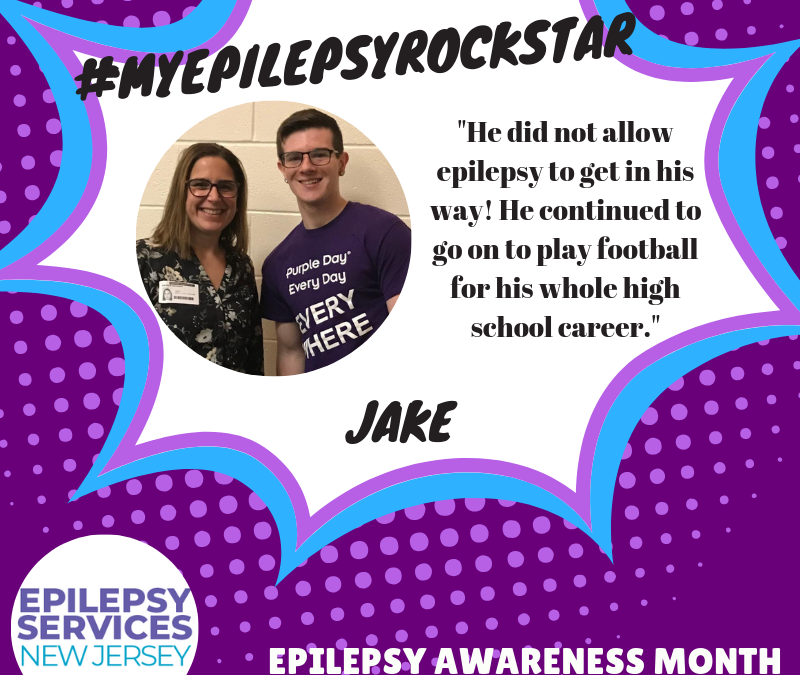 Recently, in recognition of Epilepsy Awareness Month, Jake teamed up with Andrea Racioppi of Epilepsy Services of New Jersey, to educate his former high school about epilepsy. Meet all of our Epilepsy Rockstars (Jake, Bryana, Aiden and Stacey) at the 8th Annual Paint the Pony Purple!